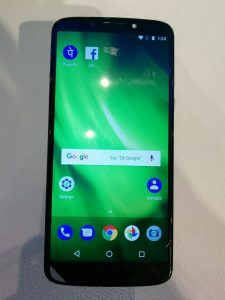 Motorola is a leading mobile phone company. It has always believed in offering quality smartphones that can do great things at a price people can afford. 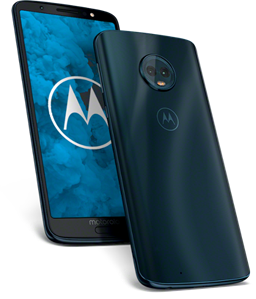 This year, Motorola is continuing the legacy to push the boundaries of the value equation even further, with the newest generation of the most admired moto g family – MOTO G6 AND MOTO G6 PLAY. 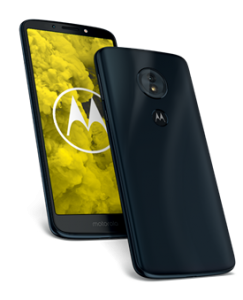 The all new moto g6 and g6 play smartphones offer the perfect combinations of features for consumers who don’t want to compromise on quality, style or experience. 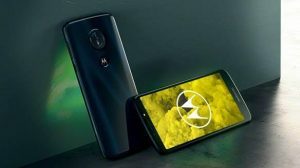 The moto g6 and moto g6 play have the innovations that matter most to you, at exceptional prices. They are smarter than ever and focus on immersive display, stunning glass design and have the speed and power of Qualcomm® Snapdragon™ processors. MOTO G6 – Designed to impress. Built to create. The moto g6 is designed to impress. Its 14.5cm (5.7″) Full HD+ Max Vision display delivers vivid colors and fine details, while its attention-grabbing 3D glass back creates a gorgeous shape and look that stands out among other premium smartphones. Advanced imaging software means studio quality portraits, artistic black and white shots, and hilarious face filters come to life through the dual rear 12MP + 5MP cameras. And it keeps getting better, instantly lock or unlock your phone with the multifunctional fingerprint reader. With a new edge-to-edge, Full HD+ Max Vision display, nothing stands between you and your favorite content. Immerse yourself in games and movies with an ultra-wide 18:9 aspect ratio. And with integrated Dolby AudioTM preset modes, your favorite content always sounds its best. With dual rear cameras and photo enhancement software, you’ll be amazed at what you can do with moto g6. Make a portrait look even more stunning with a blurred background. Add a splash of color to black and white images for a more artistic look with spot colour. Bring photos to life with the active photos feature, or speed up the action using time lapse video. There are so many ways to show your creative side. Bad lighting is no excuse for a bad selfie. The 16 MP front-facing camera includes low light mode, which lets in up to 300% more light to make up for poorly lit conditions. * Combine that with an LED flash, and your selfies turn out great in any kind of light. *In low light mode, increasing the pixel size reduces resolution to 4 MP. Get through a full day* on a single charge thanks to a 3000 mAh battery. When it’s time to power up, don’t slow down. The included TurboPowerTM charger gives you hours of battery life in just minutes of charging. Unlock your phone simply by letting the camera see your face. It knows who you are thanks to face recognition software, so you don’t need to enter your password. 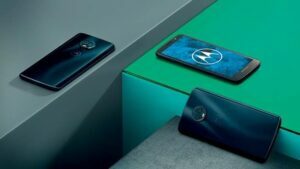 Do More Using Your Fingerprint The fingerprint reader on moto g6 does more than just unlock your phone. Also use it to control your phone. One long press on the fingerprint reader unlocks and locks your phone. Then swipe left to go back, swipe right to access recent apps, or tap once to go home. Note: you can activate this feature by accessing the moto app. 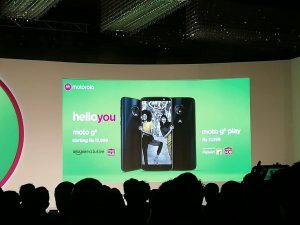 Moto g6 will be available exclusively on Amazon.in and at Moto Hub stores across India in Indigo Black colour and 3GB/32GB and 4GB/64GB variants starting at INR 13,999. #T&C Apply. Please check product pages on Amazon.in or ask the Motorola representative at Moto Hubs for details. The moto g6 play works as hard as you do, helping you set aside plenty of time to play. Its powerful 4000mAh, all-day battery1 can last up to 36 hours on a single charge, giving you the ultimate peace of mind when out and about. Take it a step further with its powerful 1.4 GHz-core processor that gives you the speed to access photos, apps, and everything in between, without any stutter or lag time. Go up to 32 hours* on a single charge thanks to a 4000 mAh battery. When it’s time to power up, don’t slow down. TurboPowerTM gives you hours of power in just minutes of charging. Our new 14.5cm (5.7”) Max Vision display spans from edge to edge and still fits comfortably in your hand. The 18:9 aspect ratio gives you a much wider viewing area than traditional displays, so entertainment never looked better. Just point and shoot. With the 13 MP camera on moto g6 play, taking great shots is easy. Use phase detection autofocus to focus fast, so you never miss a moment. Plus, you always get the best pictures—the camera automatically takes multiple shots and recommends the best one to keep. You’ll look your best in selfies too. The 8 MP selfie cam with an LED flash includes beautification mode, which smoothes skin and reduces blemishes or wrinkles. Google Photos is the default gallery for all your photos and videos. Your memories are automatically backed up, searchable and can easily be accessed, shared and edited from any device.